SmarterPresents is the simplest way to find the perfect gift for your friends and loved ones. If you like us, let us know! Inexpensive: a spotify subscription. Spotify is an amazing service. You get instant access to almost any song you can think of. And you can access it from anywhere there is internet. You can actually use spotify for free, but a premium subscription lets you listen without the interruption of banners and it lets you listen from your mobile devices. At $10/month it’s music bliss for the radio head. Moderate: a great pair of headphones and a portable amplifier. Those sporting their stock iphone earbuds don’t know what they’ve been missing. Music through over the headphones is like night and day. A great pair can typically be had between $100 and $200, but they’re absolutely worth it. 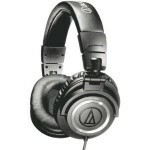 I’m wearing a pair of Audio Technica ATH-M50′s right now their so crisp I’d probably prefer listening through these rather than going to an actual concert. Additionally, if you’re jacking your headphone into a computer or a portable device, we highly recommend you use a portable amplifier such as the Fiio E7. Most of your portable electronics don’t have the proper power and hardware to amplify and master your audio – which is where these guys come in – the difference is just striking. 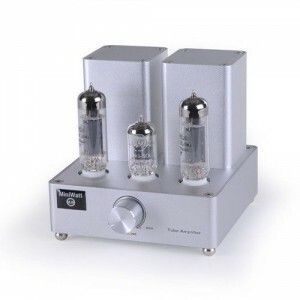 Expensive: a vacuum tube amplifier. Modern day stereo systems have all the bells and whistles, but sometimes you simply can’t match the sultry and gorgeously full-bodied sound of a vacuum-tube amplifier. It probably won’t be cheap, but it’s a beautiful centerpiece to any audiophile’s collection. These puppies typically start at $400 for the more basic systems. Two nice options are the Jolida and the MiniWatt. There is really only one scenario where I think it’s a good idea to give a gift card – and that involves gifts for coworkers you don’t have much a relationships with and where you want to keep things simple. In that case, a $25 starbucks card or AMC movie card isn’t a horrible gift. But in most other cases, gift cards signal that you prefer not to put too much thought or energy into finding a gift for your friend or family member. What also makes gift cards a particularly terrible gift is the constraints they attach onto the gift. When you give someone a gift card, you are essentially giving them cash. Only, it’s not cash, it’s cash with rules. So instead of being able to spend the money on something that I’d like, I have to spend at a very specific venue, and I have to use this card. And chances are, I’ll forget about that card or only use a portion of it. So, in the end the retailer wins big. Not only do they collect your money before they even sell you anything, but there’s a good chance they never will sell you $25 worth of stuff, ever. There’s a reason gift cards are everywhere – and it’s because it’s a huge business and a huge moneymaker for stores. Do you like getting gifts cards? I have a stack of 5-6 sitting on my dresser, and it’s almost a hassle to think about how I have to use them. I live in the city, with thousands of great restaurants around me, when am I going to go to the Olive Garden? The $100 spa voucher was really nice. But rather than just sending me a boring piece of paper which I almost mistook for a coupon, next time, take the 10 extra minutes and call my girlfriend for my schedule and just book me a time so I don’t have to think about it. Those extra gestures go so far! SmarterPresents.com - All Rights Reserved. Copyright 2012.